Queen Victoria Market has been added to your itinerary. 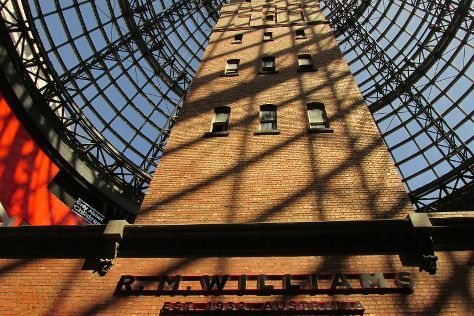 Your cultural itinerary includes sights like Melbourne Museum and Sovereign Hill. Escape the urban bustle at Warrandyte State Park and Melbourne Zoo. Explore the numerous day-trip ideas around Melbourne: Kinglake National Park (in Whittlesea) and The Great Ocean Road (in Torquay). Spend the 7th (Fri) wandering through the wild on a nature and wildlife tour. And it doesn't end there: admire the landmark architecture of Shrine of Remembrance, steep yourself in history at Old Melbourne Gaol, admire the natural beauty at Royal Botanic Gardens, and explore the world behind art at National Gallery of Victoria. To find more things to do, maps, other places to visit, and tourist information, use the Melbourne trip builder website . Singapore, Singapore to Melbourne is an approximately 10.5-hour flight. The time zone changes from Singapore Time (SGT) to Australian Eastern Standard Time (Victoria) (AEST), which is usually a 2 hour difference. Traveling from Singapore in December, you will find days in Melbourne are little chillier (30°C), and nights are colder (14°C). Wrap up your sightseeing on the 16th (Sun) to allow time to travel back home.